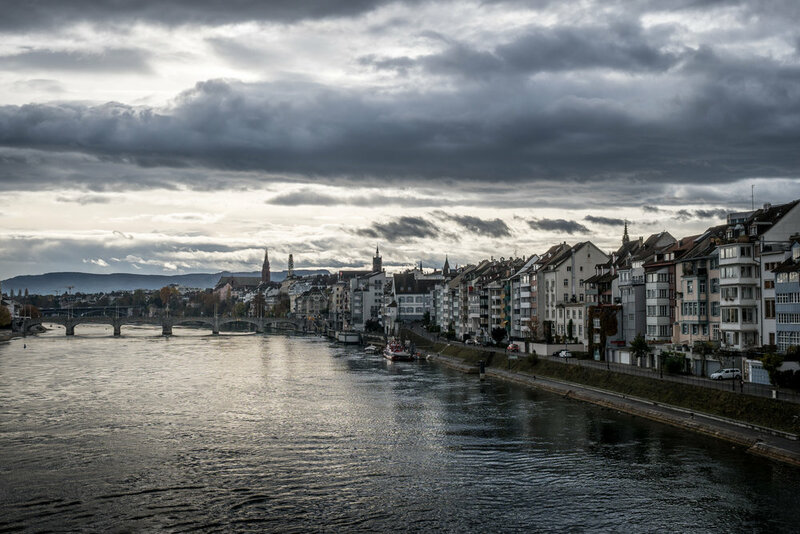 We are a lawyer and a radiologist, reporting from a recent three-day interdisciplinary symposium at the U of Basel. 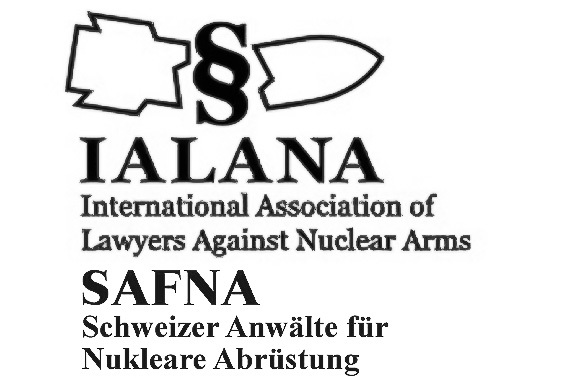 It was attended by physicians, lawyers, nuclear experts and scientists, entitled “Human Rights, Future Generations and Crimes in the Nuclear Age” and was sponsored by the Swiss branch of the International Physicians for the Prevention of Nuclear War (IPPNW) and the International Association of Lawyers Against Nuclear Arms (IALANA). At our symposium we examined what effects policies relating to nuclear weapons have on the health and the environment. In that regard we considered the human rights situation of victims of nuclear tests and nuclear disasters. The recent success of 122 nations, which on July 7th accepted the UN “treaty on the prohibition of nuclear weapons” obliges in Article 6 nations to environmental remediation and to assistance for the victims, at least those of the use and testing of nuclear weapons. Most of the discussions, however, focused on the implications of the nuclear weapons and civil use of nuclear energy for the future generations. It is they – our children, grandchildren and their descendants – who will continue to bear the risks of nuclear war and the potential health effects of the ongoing, progressive global nuclear contamination. This started with the first atmospheric nuclear weapons test “Trinity” in July 1945, followed by some 2000 test explosions by nine nuclear states, hundreds of which were above ground thereby contaminating the biosphere. The Chernobyl nuclear reactor explosion lead to a regional but also widespread contamination of Europe and today there is the ongoing leakage into the pacific of high volumes of radioactively contaminated water from the damaged reactors in Fukushima. Financing the legacy of civil use of nuclear power, including the construction of safe waste storage repositories will be a further challenge we mainly leave to our children and grand-children. Discussions finally questioned possible liabilities of Governments i.e. decision makers in nuclear weapon states, when intended or accidental launch of nuclear arms might eventually have global repercussions and could lead to the extinction of mankind. The very idea of recognizing crimes against future generations becomes now a new reality: any nuclear war should lead to a major response of international law as it closes the horizon of the future for ever. Indeed, the entry into the nuclear age marks the unprecedented acquisition of power of humankind over the earth and all forms of life; geologists name this new era the Anthropocene. Many believe that in this era a new code of medical and legal ethics is necessary, as the specific challenges of facing nuclear risks and disasters require a paradigm shift in both disciplines. We must now seriously consider the trans-generational impacts of ionizing radiation on all forms of life and take effective measures to prevent serious health effects in today’s populations, in particular young women and children. Yet we also must protect our descendants, as ionizing radiation may cause not only cancer and non-cancerous diseases but also may have genetic impacts in humans exposed today. These effects may even occur with long-term chronic exposure to very low doses of ionizing radiation. They will not become manifest in today’s victims, but might present as disease in their offspring only decades later. Thus we must also adapt the current legal framework of basic principles to this new reality and create new laws, designed specifically to protect and take into consideration the human rights of future generations. The Universal Declaration of Human Rights, although not legally binding, comprises some thirty individual rights. Some of them are pertinent to victims of nuclear accidents. Displaced people in the Fukushima prefecture e.g. should have the right to adequate living standards as well as the rights to express their opinion and the right to receive information. In fact, the Japanese constitution does recognize these rights and defends the trans-generational principle of human rights of future generations in Articles 11 and 97. Yet these rights presently are not respected, for in Japan the press is forbidden to report on current events in Fukushima and medical research on the effects of the reactor meltdown is restricted. Most radiation scientists in Japan, with some exceptions, minimize the risks of radiation and the official widely-observed policy is that small amounts of radiation are harmless: scientifically speaking this is untenable. Furthermore, the Japanese Government is trying to increase the public limit for radiation from 1 mSv to 20 mSv per year, a value generally allowed for radiation workers only. Its scientists are trying to force the International Commission of Radiation Protection ICRP to accept this large increase, yet many consider this not only unscientific but also unconscionable. This handling of the aftermath of the nuclear catastrophe of Fukushima therefore could be considered a violation of human rights and even a crime against future generations. To voice concerns for the human rights of future generations today is not enough. New legal provisions to insure these rights must be created. Additionally concrete steps towards abolishing nuclear weapons in the coming years are urgently needed. Furthermore, due to the high costs for dismantlement of nuclear reactors and the enormous investments for safe nuclear waste storage, our generation should take responsibility and at least shoulder some of these costs and not burden them on our offspring only. Emilie Gaillard is an Assoc. Prof. of law and a researcher at the University of Caen Normandy (France). 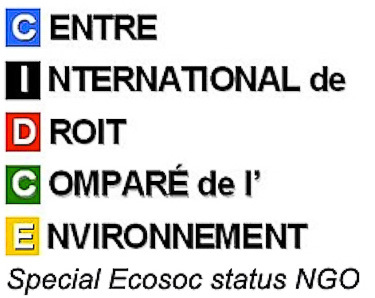 She is a member of the Pôle Risques, Qualité et Environnement Durable at Maison de la recherché et des Sciences de l’Homme (Caen). International Physicians for the Prevention of Nuclear War (IPPNW) received the Nobel Peace Prize in 1985. IPPNW has remained a leader in the global movement for a world without nuclear weapons, launching the International Campaign to Abolish Nuclear Weapons (ICAN) in 2007, and campaigning for a treaty to ban these instruments of mass extermination as a basis for their elimination. ICAN received the 2017 Nobel Peace Prize in recognition of its efforts to achieve the Treaty on the Prohibition of Nuclear Weapons, which was adopted at the UN in July 2017.